Located on the Pacific coast, Ecuador is one of the smallest countries in South America, but large on beauty and diversity. From the rugged mountain peaks of the Andes that encircle the capitol city of Quito to the low lying tropical rainforest of the Amazon, mainland Ecuador has something for everyone. Remote Amazonian jungle lodges, culture rich Indian markets and country side touring options abound. Ecuador is also home to the famed Galapagos Islands, located 600 miles off the Pacific Coast. The islands of Galapagos are a UNESCO World Heritage Site and one of the most spectacular topside and underwater destinations on Earth. The group consists of 18 main islands, 3 smaller islands, and 107 rocks and islets, famed for their vast number of endemic species. Combine a land tour option with scuba diving for the perfect Galapagos Islands adventure! Whether it is a land-based or liveaboard scuba diving vacation, the Galapagos Islands are a dream come true for most divers. The underwater environment is every bit as enthralling as the top side attractions. Massive schools of hammerhead sharks, curious Galapagos sharks, squadrons of spotted eagle rays, pods of dolphin, silky sharks, large schools of fish and the ever popular whale sharks can all be seen in one single dive. Sea Lions, manta rays and the elusive mola mola (sunfish) can be seen throughout the islands. 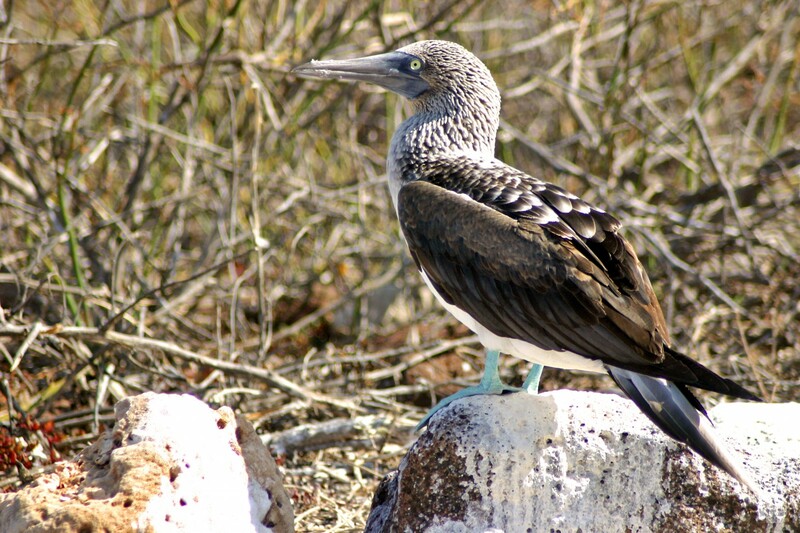 Different seasons bring larger quantities of certain species making Galapagos an amazing year round destination. Galapagos enchanted Isles are the place where time stands still. Marine Iguanas, giant tortoises and over 28 species of birds are not found anywhere else on the planet. Blue footed boobies, red footed boobies, flightless cormorants, land and marine iguanas, hawks, sea lions, penguins, seals, pelicans, giant land tortoises, marine turtles and many others roam free as they did thousands of years ago. Follow in the footsteps of Darwin and discover the unique species that make these islands their home. Mainland Ecuador has just as much to offer the adventurous visitor as the Galapagos, and it is not to be overlooked. A day tour of Colonial Quito, a blood pumping mountain bike tour through the Andes, a visit to the Otavalo Market (the largest indigenous Indian market in South America) and a few nights spent deep in the Amazon Rainforest marveling at the tropical wildlife in the canopy, will complete your magical adventure to Ecuador.